Designed to provide instant remote warning of mains-failure in a critical situation like a poultry-shed or a pumping station. The mains-failure alarm simply plugs into a mains socket. It incorporates a battery backup, which is trickle-charged all the time that mains is present. As soon as the mains drops out, the backup battery takes over, and the GSM dialler sends text messages and voice calls to up to ten mobile and landline numbers. 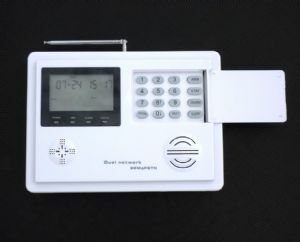 Additional mains-failure modules and frost-stats, aswell as security devices such as PIR movement detectors, smoke alarms, door contacts and external infra-red beams can be connected to the dialler. Call us on 01573 440761 for details and advice. Supplied with a Vodafone SIM card (this can be replaced with a SIM card on any network you choose).